Sophomore Cirrus Robinson (Ashland) successfully defended her national championship in the high jump during the second day of the NCAA Division III indoor championship meet, hosted by Birmingham-Southern College on Saturday in Birmingham, Ala.
Robinson cleared 5-8½ to win the national championship. She missed only once on her first 6 heights and cleared 5-8½ on her first attempt. The final 3 competitors, Robinson, 2017 runner-up Emma Egan of Williams, and Helene Hall of Williams, each missed all 3 attempts at 5-9¾, and tiebreakers determined the final standings, with Robinson winning the national championship, Hall finishing second, and Egan third. Robinson’s national championship is the third by an Ohio Wesleyan woman, following Robinson’s 2017 title and Julie Bredenbeck’s national championship in the discus in 1982. This is Ohio Wesleyan’s sixth All-America citation in the indoor high jump, following Paula Ehrle, who tied for third place in 1985; Juli Althoff, who finished third in 1990; Jen Musbach, who tied for fifth in 2005; Emily Amburgey, who tied for sixth in 2013; and Robinson in 2017. Robinson was one of 4 high jumpers who entered the meet with the nation’s top height of 5-7¾, which she achieved during the North Coast Athletic Conference championship meet last Saturday. She won the NCAC championship in the event, her second consecutive conference title. Robinson’s national championship gave Ohio Wesleyan 10 points in the team standings, good for a tie for 20th place among the 105 schools that were represented in the meet. Senior Nate Newman (Chillicothe/Zane Trace) won All-America honors in the heptathlon competition and freshman Cade Richeson (Worthington/Thomas Worthington) represented Ohio Wesleyan during the second day of the NCAA Division III indoor championship meet, hosted by Birmingham-Southern College on Saturday in Birmingham, Ala.
Newman finished with 5,267 points, finishing second. Will Daniels of Central (Iowa) won the event with 5,287 points. Newman’s score of 5,267 broke the school record of 5,155 set by Matt Hunter in 2014. Newman was seeded 11th in the event with a score of 4,917 points. Heading into Saturday’s events, Newman trailed by nearly 200 points, but inched closer in the 60-meter hurdles, winning his heat in :08.42 to post the second-fastest time in the meet and pick up 879 points. Newman cleared 14-5¼ in the pole vault, tying for second overall and picking up 731 points to narrow the margin between him and first place to 21 points heading into the 1,000-meter run, the final event. Newman finished the 1,000-meter run in 2:52.69 to record 738 points, and while he finished ahead of Daniels, the margin was not enough to affect the final standings. On Friday, Newman opened the day with a clocking of :07.27 in the 60-meter dash, good for fifth overall and 789 points. His leap of 21-4 in the long jump was sixth overall and added 697 points, and his throw of 41-1¾ in the shot put was fourth-best on the day and brought in 639 points. Newman saved his best performance for last on Friday, clearing 6-6¼ in the high jump to place second overall and collect 794 points. The All-America honors were the second for Newman in the heptathlon, following a fifth-place finish in 2017. He was making his fourth consecutive NCAA Division III championship appearance in the event. Newman placed 11th in 2016 and 13th in 2015. Richeson competed in the shot put and turned in a throw of 52-1½ on his final attempt, but he missed the last spot in the finals by a margin of 4 inches. Richeson finished 10th in the final national standings. He was seeded 10th with a throw of 54-7. 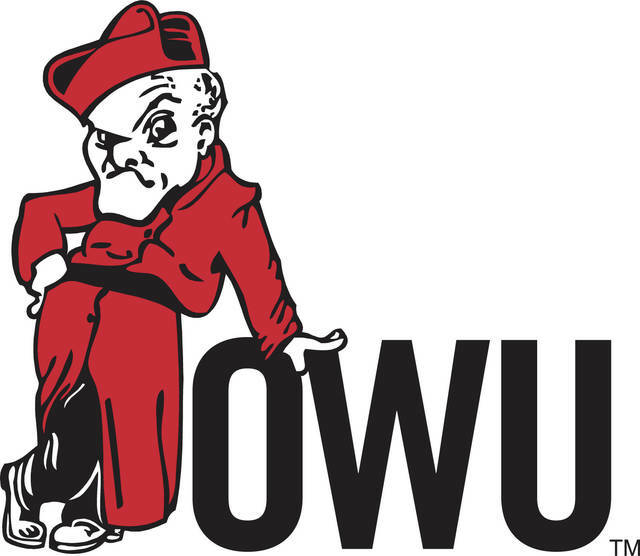 Newman’s second-place finish gave Ohio Wesleyan 8 points in the team standings, good for a tie for 30th place among the 99 schools that were represented in the meet.